Here's a little close up shot! 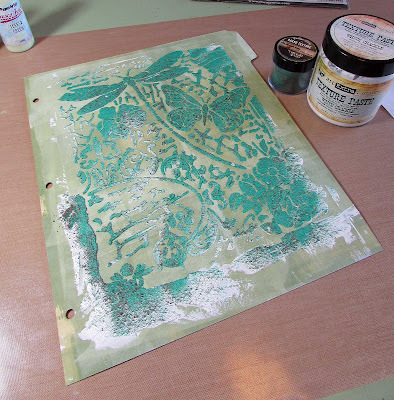 Step 1 – I used a brayer and the Fresco Finish chalk paint to create the base layer of the background. Thin coats of the paint really make a snazzy base layer! 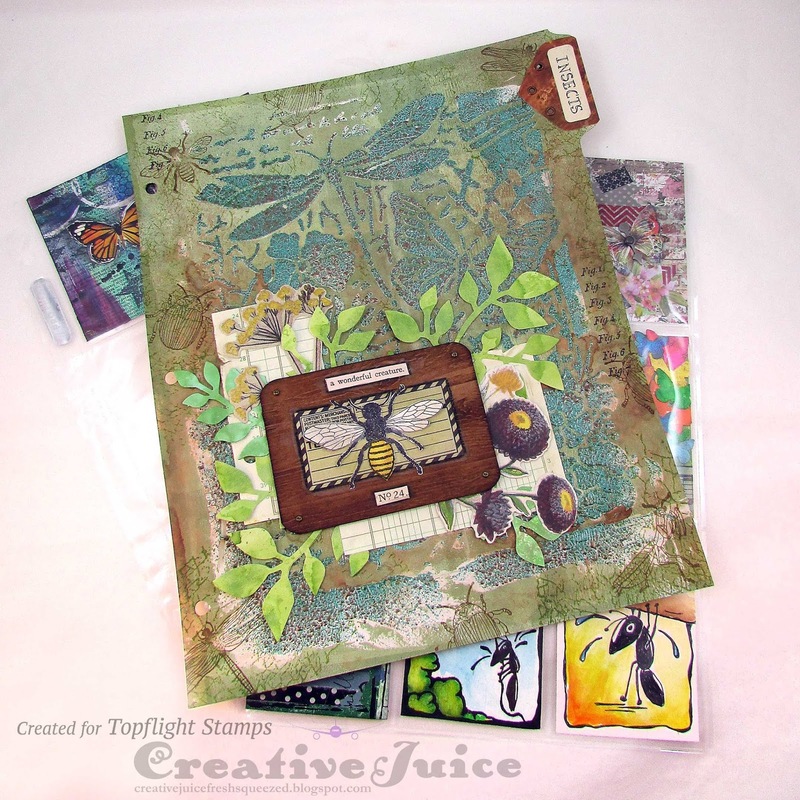 Step 2 – The gorgeous Dragonfly & Butterfly stencil was perfect for covering the background as a secondary layer. 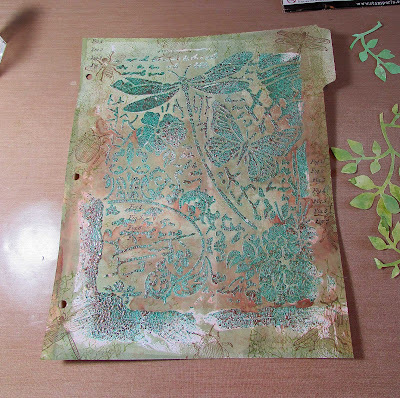 I applied white crackle texture paste through the stencil and then immediately sprinkled the Patina Oxide embossing powder over the wet paste. 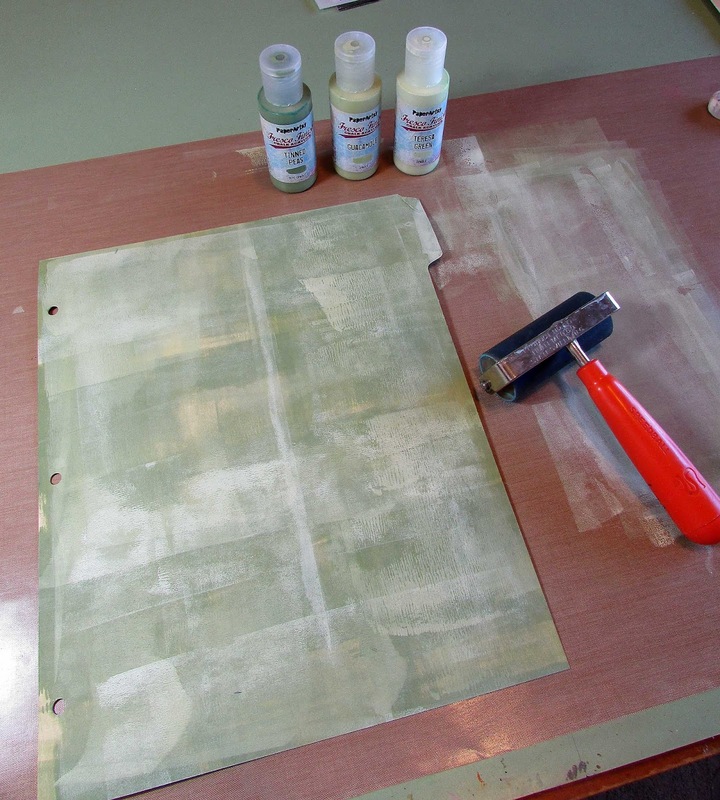 Step 3 – Once the paste was dry and had developed a nice crackle, I heat embossed the powder that was stuck to it. So pretty!! Next I made a mist out of Eileen Hull's Nutmeg Blends ink and spritzed it over the whole background to help distress it and bring out the crackle. I also spritzed on some plain water so it would pool and puddle and run around into the nooks and crannies. 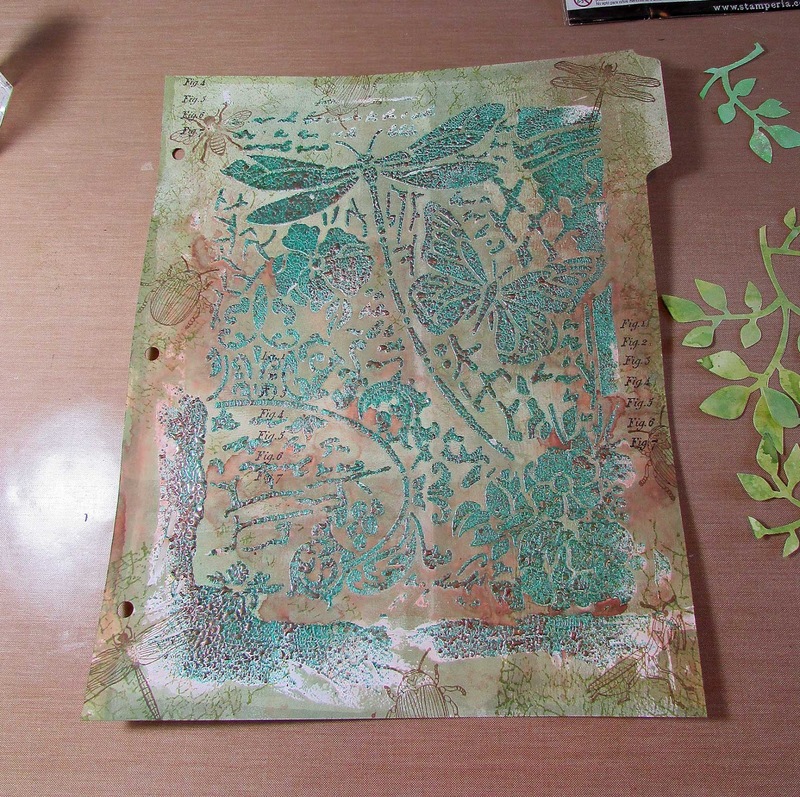 All I had left to do was layer on the front piece elements. 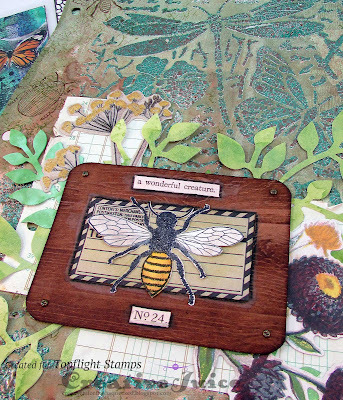 The bee is a fussy cut stamped image from the Beautiful Bugs set. Dividers for ATC binder - another excuse - I mean reason - to create! Love the idea and love this divider. Great tutorial!